I bought my 1st Gen Rachio over a year ago but have not yet managed to set it up. If it wasn’t my lack of sprinkler knowledge, it was lack of electrical knowledge, time, etc. The bottom line is, it’s been sitting g here unused and I’ve finally said “enough”. This is the only thing in my house that needs automating and has not been automated…I need help to get it done and I’m hoping you guys can help me. I’m not a sprinkler pro but, as far as I can tell, I have 4 zones BUT, the 4 zones are not controlled or triggered by any controller, rather a valve set up somewhere else. At first, I was told that meant I had to redo my sprinkler system which is the main reason this sat in my garage for a while…debating whether or not I’d spend the $500 I was quoted to change things up to have individual zone control but, I had a thought. If the zones are being switched elsewhere…I can just set the Rachio up with 1 zone and have it run that zone 4 times with a minute in between each. That gets a zone on, then off, then flips the system back on switching to the next zone. As far as Rachio knows, it’s 1 zone…but I’m ok with that since I always water the whole yard, never skipping a zone. If this seems ignorant, please share why…remember, I’m not very knowledgeable with sprinklers. But, if this seems to make sense, below is a pic of my current wiring. 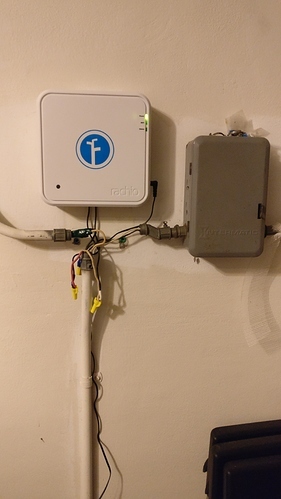 I’ve tried a few combinations and I’m not able to get the sprinklers on with Rachio. I’ve been through a few posts here and with a pic or 2 you guys seem to work magic. Can someone suggest which cables should go where when connected to the Rachio? 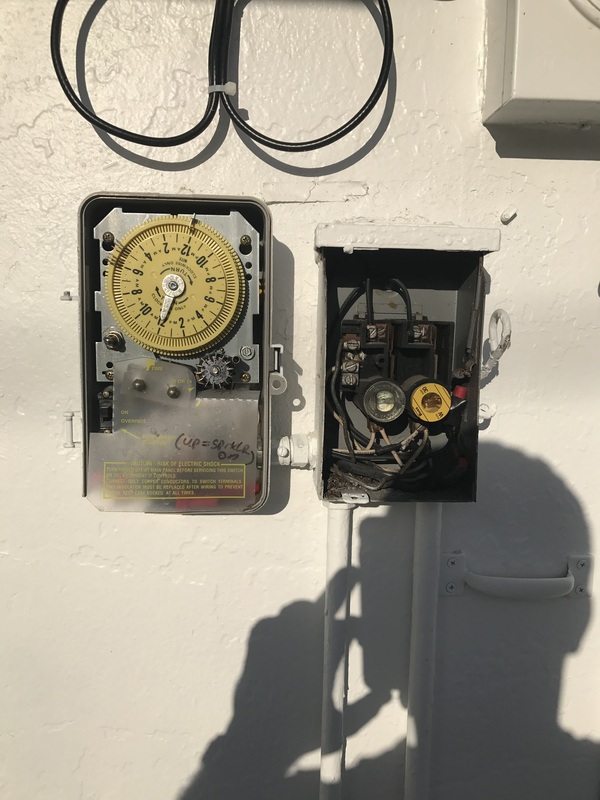 @Triplethreat117 - That looks like a timer that controls 120 VAC to a pump somewhere. The multiple fins in the top left corner that partially show up are the timings for the zone. My guess is that there is an indexing valve in the system and it moves every time the pump is turned off. Out of curiosity are you located in Florida? Indexing valves are common there. 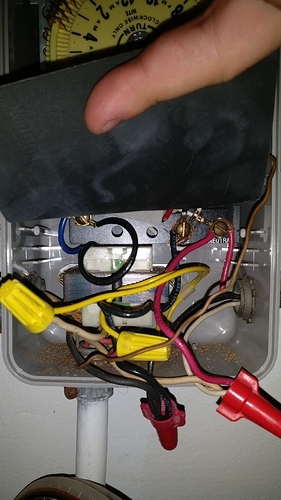 If you have a pump that supplies water to the system, then you’ll need a pump start relay. I am in Florida @DLane. I’d eventually like to switch out the valve as you’re recommending but in all honesty, I just want to get this set up today. Having this controller in my garage…it’s been the equivalent of having a haunted garage! Everytime I park the car, or grab a tool, or see the sprinklers cut on of course…I’m reminded that I can’t ask Alexa to turn on the sprinklers or, avoid watering when it rains, or have shorter watering cycles…the list goes on. The sprinklers are one of very few things not smart home friendly in my house and at this point, it’s killing me lol. Any idea how I can get this to work as is? Looks like your links to other installations had not loaded when I originally replied. I’m going through those now to see if they helps one looks very promising! Start with the bottom post that I just added. That is from the Rachio Knowledge Base and may be all that you need. Apologies @DLane not sure what happened - links didn’t show till after my reply. I started from the bottom up and I’m gonna try a few things. I’ll be back and let you know how it goes! @Triplethreat117 - it is nothing you did. I saved the original post and then made multiple edits. That’s why the links didn’t show up until later, I had to go find them. 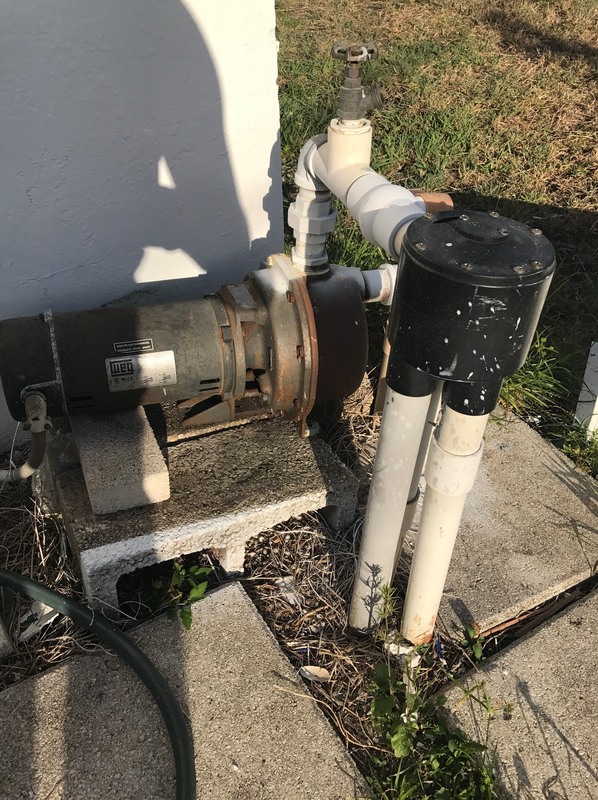 The main question is do you have a pump that is providing water pressure to the sprinkler system? For example, the water source is an irrigation ditch or pond? If so, there will need to be a pump start relay added to the configuration. We may need some more pictures, but between @Gene and myself I think we can get you going - maybe not tonight. We did it! In all honesty, I was close but, had not realized the white wire was neutral/common for the indexing valve. I had the neutral wire from the house going into the Rachio…like you would with a ZWave light switch but watching the video in the Rachio support section from your last link put it into perspective since it takes house wiring and current timer out of the equation. Seeing it ask for common and master only there made it all click for me. It also clarified I don’t have to use zone 1 but rather, just plug into the master valve terminal and be done. I’ll have to clean up the wiring a bit as the power and neutral were running through the old timer to another timer hooked up to a few spot lights but, we did it! Thanks again @DLane and Rachio support for the great documentation!